For some Wake Foresters, it wouldn’t be Christmas without a visit from the pancake man and his gifts of homemade goodness and friendship. 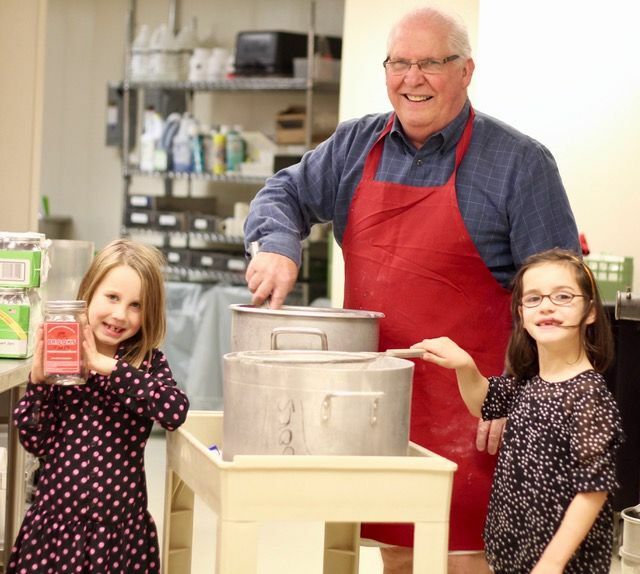 From now until Christmas, George Brooks (’71, P ’97, ’99, ’00) is loading up his sleigh, a 2015 blue Toyota Highlander packed with coolers, to deliver jars of his famous BrooksCakes pancake mix to friends new and old, near and far. It’s his ministry to the friends who have enriched his life, from professors and fellow students he knew at Wake Forest to his neighbors to members of his church to people he just met on the street. “It’s a way for me to reconnect with the people that have touched my life — and the people that I’ve just met — and to make a difference in someone’s life,” said Brooks, who lives in Charlotte. 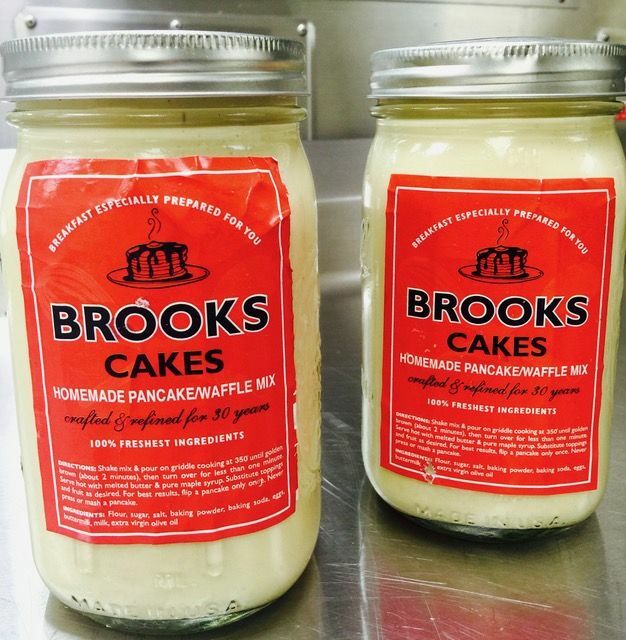 By the time he finishes his rounds on Christmas Eve or early Christmas morning, he expects to have delivered about 400-quart jars of his made-from-scratch BrooksCakes pancake/waffle mix. His Christmas journey takes him to Winston-Salem; Raleigh; Asheville; Atlanta; Greenville, South Carolina; and finally, on Christmas Eve, to his church in Charlotte. Brooks started making pancakes 40 years ago using a “secret recipe” from friends. They were the best pancakes he had ever eaten, he said. When his kids — Parker (’97), Meredith Sorrell (’99) and Margaret Snyder (’00) — were growing up, he’d invite neighbors over to his house for Saturday morning pancakes. The kids would play and watch cartoons while the adults visited. Word of his delicious pancakes spread, and soon he was flipping hotcakes for his bridge club and church groups. He started an annual breakfast for runners in the Charlotte Marathon and their families. 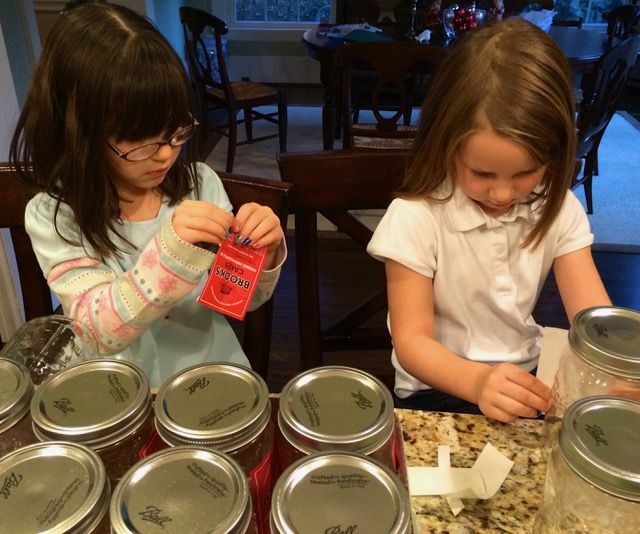 And he started giving away jars of his pancake mix to members of his church on Christmas Eve. He added his fraternity brothers to his Christmas list and the list grew from there to include Wake Forest professors that he had as a student and ones that he’s met in more recent years, coaches and deans. Now he sees everyone on his list at least once a year to drop off some BrooksCakes, share a hug and catch up. He also shares BrooksCakes year-round through charity breakfasts. Twenty years ago, he co-founded a group called Families at Work that builds a Habitat for Humanity house each spring; he cooks breakfast for the volunteers and families to kick off their house-building work. He also provides a hot breakfast once a month for the homeless staying at his church’s overnight shelter during the winter. His “Pancake Breakfast for 25” has become a popular way for community organizations in Charlotte to raise money. A native of Louisville, Kentucky, Brooks majored in economics at Wake Forest. Today, he’s a principal of Sherlock & Walker LLC, which helps recover lost assets. 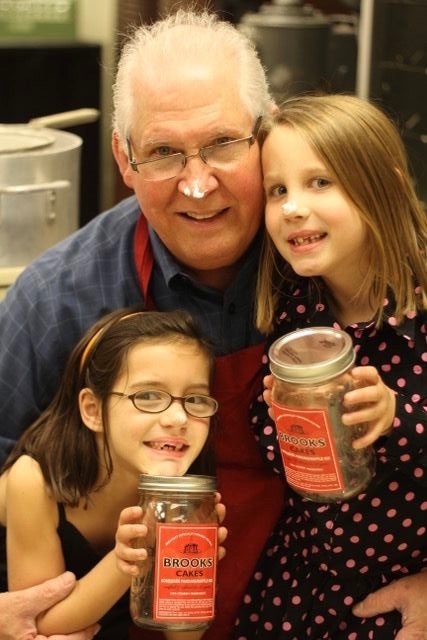 But he puts his work on hold in December to ramp up BrooksCakes production with help from his twin granddaughters Brooks and Laura, daughters of Meredith Sorrell (’99) and Carter Sorrell (’99). Brooks daughter Margaret Snyder (’00) also married a Wake Forest alumnus, Matt Snyder (’02). Order BrooksCakes any time of year online. It’s also available occasionally at Reid’s Fine Foods in Charlotte and Raleigh. 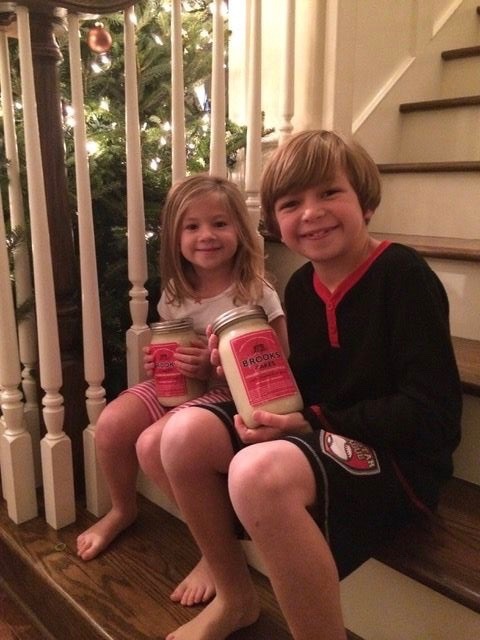 Nothing says Christmas morning like some BrooksCakes pancake mix for Ansley and Rhodes Baker, children of Martin Baker ('99) and Jennifer Baker, and grandchildren of Jerry Baker ('68, P '96, 99) and Cassandra Baker ('69, P '96, 99).